Twitter's #Music iOS app now available in France, but is it too late? 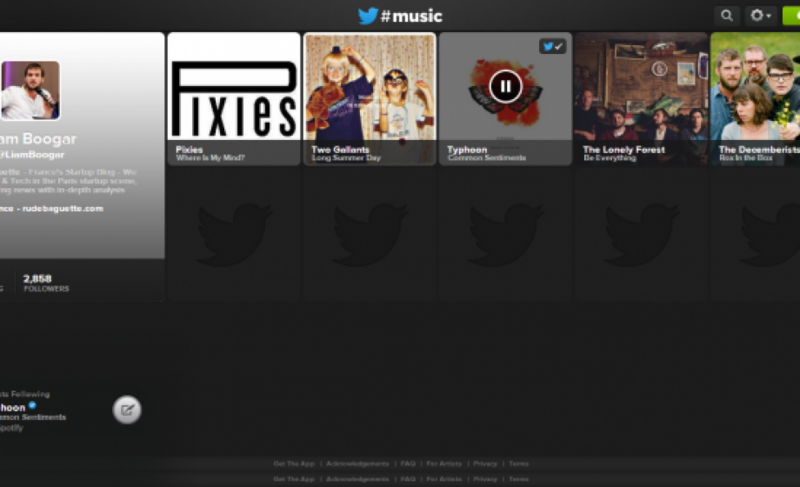 Twitter’s #Music iOS app now available in France, but is it too late? Twitter’s first vertical service #music got an update on Friday which opened the iOS app up to new countries including France, meaning that this blogger finally got to try out the service. While Twitter was an instantly global service, #music took a few month to launch internationally; however, users may have trouble adopting the service, despite the social network behind it, with the plethora of options already available to them. The product itself is substandard. artist profiles are linked to their music (for me, via Spotify. Sorry Deezer), and you can listen to trending artists, artists you follow, and even get recommendations. Despite being an avid music fan, I was surprised to find that I don’t follow many artists (Twitter’s way of knowing which music I like) – I do follow, for example, @alberthammondjr, guitarist for The Strokes who also released a solo-album, yet Twitter failed to include his solo album or his band in my profile. In terms of product features, I can’t see where #music can get an edge in on the ever-growing competitions. Between Music Social Networks (Whyd, Soundwave, etc. ), not to mention Facebook’s heavy integration to Spotify & the other music listening services out there (Rdio, Deezer, Pandora, Grooveshark, etc. ), Twitter #music lacks the ease of listening (the web app was a bit slow for me), the knowledge of my music (it turns out I don’t follow all the bands I like, and I really don’t want to know what the Arctic Monkeys or Offspring tweet about, despite listening to them occasionally), and the discovery aspect (Facebook taught us that my friends are not the best source of music recommendation, and geo-location has NEVER been a criterion for deciding what music to listen to). The app is worth giving a try on iOS, but I would weigh it against Soundwave, whose passive integration with Facebook, and thus most music listening services, means it passively keeps track and declares what music you & your friends are listening to. For me, I think the real crutch for Twitter is going to be the same crutch that Facebook had a few years back: I’ve already decided what Twitter is for, and thus I’m not going to unfollow and mass-follow a whole new model of people in order to adapt to Twitter #music. In reality, I’m more likely to start on a new network, like Whyd, which focuses again on a new social relationship – that of the music fans & the music experts. I follow music experts, they recommend me music, I consume. This is how it is done in the real world, and most online music services fail to adapt this real-world relationship between listeners and music to digital.